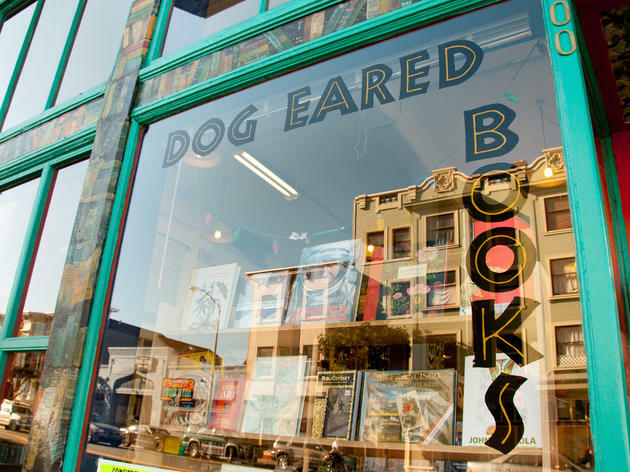 With the storefront splashed in colorful murals, windows lined with pulp paperbacks, and vibrant papel picado banners draped overhead, this 20-year-old bookstore in the heart of the Mission is very much a reflection of its surrounding community. Signs designating the genres are hand-lettered, and the shelves are dotted with stickers left behind by self-promoting browsers. The store sells both used and new books, and the long tables in the center of the store bear deals on both. Though the emphasis here is on local authors, small presses, and the Beats, a little bit of everything is interspersed throughout. (Up front, kids books and journals; in back, art, travel, and design.) The paintings displayed above the bookshelves are for sale, as well—all the work of local artists, of course. 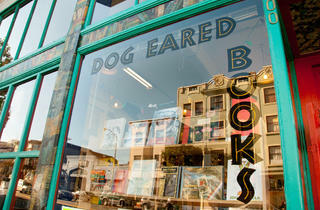 Dog-Eared Books’ Castro sister-store is smaller, but similarly community-driven. That location hosts an LGBT book club every month, as well as a Perfectly Queer Reading Series.